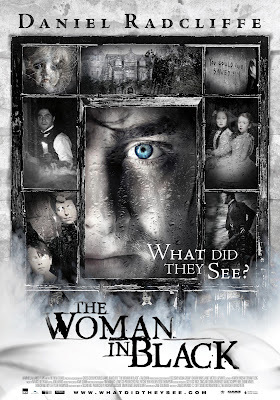 I am extremely impressed with James Watkins' The Woman In Black which opened this weekend. . . . Okay, I'm lying, I would have screamed out loud and ran out of the theater had there not been other people there reminding me that it was just a film. As with all great horror stories, it's going to get into your head because it's all ready there. That's the point of ghosts: they are a specific language for dealing with the mind and the specters of ideas lurking in our own dark corners that haunt us in ways we didn't realize. 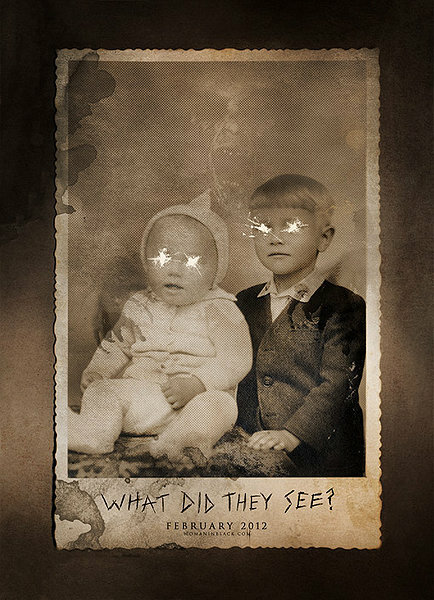 It's not just "what did they (the children) see" but every single person in the town who chose to ignore what they saw and, just as much, it's what we, the audience see and will admit to seeing or not. This is one of those films that the more you engage with it, the more it will reward you; the less you engage with it, the more dis-satisfied you will be. 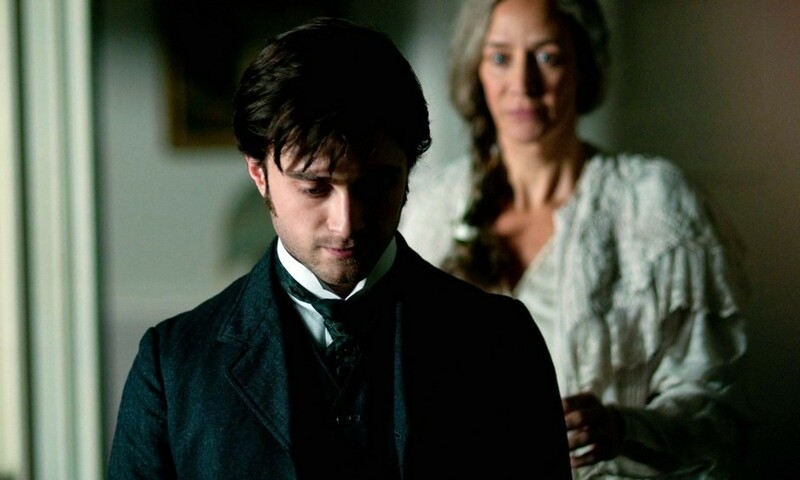 After losing his wife during childbirth, Arthur Kipps (Daniel Radcliffe) is faced with the possibility of losing his position at the law firm if he doesn't finish a new assignment satisfactorily, which involves going into the country to an isolated home of recently deceased Alice Drablow at Eel Marsh House, going through all her documents and trying to establish her last will and testament. What Arthur discovers is that Alice had adopted her nephew, her sister's son, Nathaniel, by having her sister Jennet Humfrye declared mentally unstable to be his mother. Alice and her husband Charles raised the boy, trying to keep Jennet away from him, until an accident caused the boy to drown in the salt marsh surrounding the house. 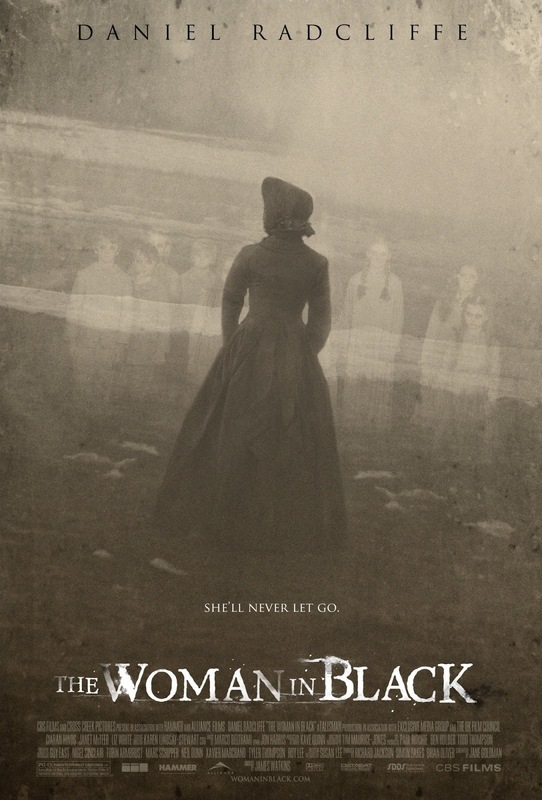 In dismay that they didn't do more to save the boy and left him in the marsh, Jennet hanged herself and haunts, not only Eel Marsh House, but the townspeople as well. This is the best shot I have thus found of Eel Marsh House surrounded by the salt marsh; this is, I understand, the Nine Lives Causeway, and when the tide comes in, the road is completely impassable, surrounding the island and house on the island, and the cemetery. 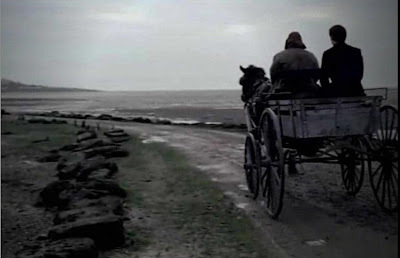 The coming in of the tide coincides with revelations and discoveries Arthur makes within the house, so the road, the young boy Nathaniel's death on the road, the large cross marking the place where the carriage with him in it sank, are all highly symbolic and full of meaning. Eel, of course, refers to those nasty, long fish that swim in water and are so frightful to look at. As far as I can tell, there was never an actual eel in the film, however, all we need is the mention of it and the unseen eels swimming "beneath the surface of the film" and story line give rise to all kinds of possibilities of interpretations and meanings. It would be easy, just from this clip, to see the little girls themselves as the dolls, smashed by the image of being only dolls, and not future adults, to their parents. It's also possible to see references to the book/film The Virgin Suicides of 1999. When childhood is destroyed at an early age, when children don't go through all the steps of growing up, they die too early. The three little Fisher girls playing at a tea party in the attic is one link to Alice's Adventures in Wonderland, because that is the most famous tea party in English history. This kind of "self-murder" happens throughout the film to children and is inspired by the Woman in Black. Because the first murder we see is through a window (symbolic of reflection) we are perhaps meant to reflect on this one more than more than any of the others, but they are all tragic. England could be seen as the unfit mother, Jennet, because England wasn't providing a stable future either for poor children living in terrible conditions from which they could not hope to escape (Dickens' stories), nor the rich children could hope for a normal life because they were being forced into a world of bizarre social ritual and expectation based on wealth and status which, in its own way, would lead to just as much unhappiness for them (Lewis Carrol's crazy world of social etiquette presented in Wonderland; please see also, Leisure Hours and Victorian Consumption for more on children during the Victorian Era). But, speaking of Queen Victoria and her era . . .
One of many great shots in the film. Arthur is on his way to the country to start the business of going through Alice's papers. He's sleepy and drowsy, but look at the reflection of his in the train window: sleep is a kind of reflection because it brings dreams which are the ultimate reflection, dreams give us that which we don't want to think about in our waking state; windows are symbolic of reflection/meditation because it affords the chance to "look into ourselves" and the act of reflecting one's image in a mirror or piece of glass is personal meditation because it symbolizes what we are doing interiorly. From this point on, it is possible to understand the rest of the film as Arthur's dream, that he "authors" the whole story of Jennet and Alice, Nathaniel and all the children, because a dream, as Freud tells us, is a wish fulfillment. What wish does Arthur have that is fulfilled if the rest of the film is a dream? 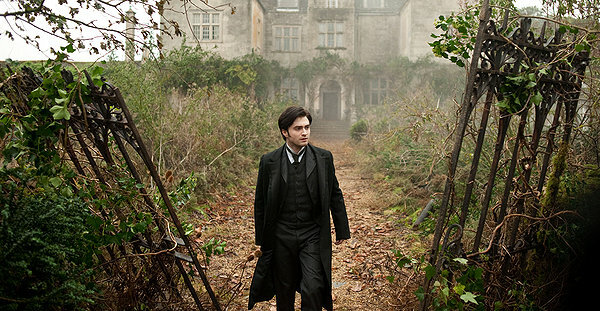 To redeem himself with his law firm, to stay the course of solving the mystery at Eel Marsh House, despite the dangers; to give someone back who was lost as he lost someone himself and to be reunited with his wife. We could go on but it's just one of many possible interpretations the films provides for us. There is a little girl named "Victoria" in the film; when her mother has gone out, she drinks lye, and dies in Arthur's arms. Lye, of course, is used in the manufacturing of soap, but taken by mouth is poisonous; so for the Victorian Era to have "cleaned itself out," as little Victoria did, would have killed it (it built itself upon the labor of slaves and children and couldn't afford to do the right thing because then it would cease to exist; that is one possible, but not very fruitful understanding). Another understanding is, the morality of the Victorians was "strong as lye," and because they were so moral, they killed themselves (while I personally don't agree with this, it's probably the likely understanding). The benefits and harms of the industrial revolution should also be considered. There is another little girl, Lucy Bentley (a reference of course to the early Bentley automobile manufacturing in England) and Lucy means "light." Lucy is one of the famous characters from Bram Stoker's Dracula published in the same period as these events are taking place. 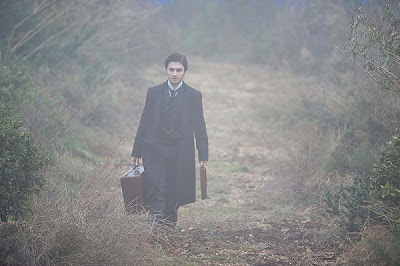 Arthur Kipps could easily be English author Rudyard Kipling. 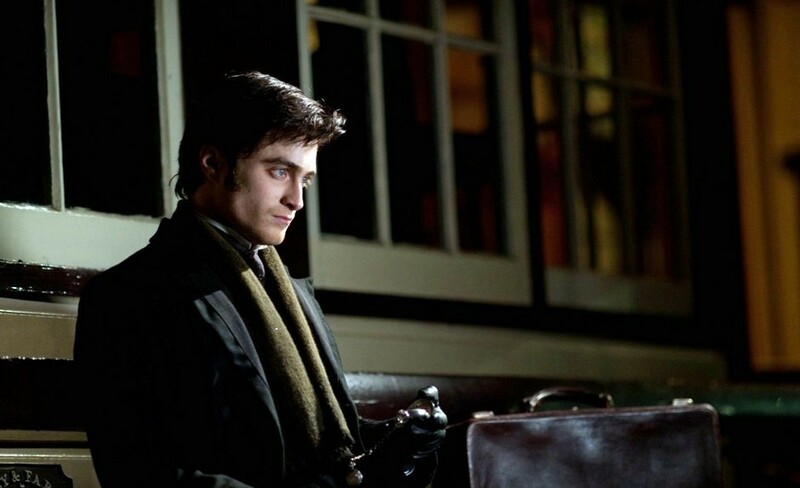 When Arthur is on the train, he reads a newspaper advertising Spiritualism as endorsed by Sir Arthur Conan Doyle, the creator of Sherlock Holmes. A zoetrope which, as Arthur spins it allows us to see monkeys (a constant motif throughout the film) putting their hands over their eyes and then removing them again. What's the point? On the left side, just before the white turns black, there is a ghoulish eye looking back at Arthur, emphasizing, again, the need for sight and even double-sight, that is, deep looking, not just surface scratching. One more interesting detail: Nathaniel drowns in the marsh in 1882. 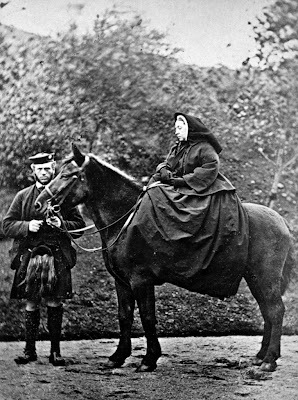 We could say, rather, what failed to happen: Roderick Maclean failed to assassinate Queen Victoria (the eighth failed assassination attempt on the Queen's life and the last). I know that sounds awful to say, and that's the purpose of literature, to say things that we can't say out and openly. But let's look at it this way (I rather like Victoria, by the way, so this is just an academic exercise), if the Victorian morality which was pro-sexual restraint and pro-family, but also saw the rise of prostitution and child labor, if that system would have ended in 1882, would unmarried women (such as Jennet who had Nathaniel out of wedlock) been torn apart from their children? In this context, the "woman in black" becomes the widow of Windsor, Queen Victoria, who never stopped mourning for her dead husband ("I'll never let go" the specter in the film says) and whose policies had very definite effects on the future (the children of the townspeople symbolize the future). 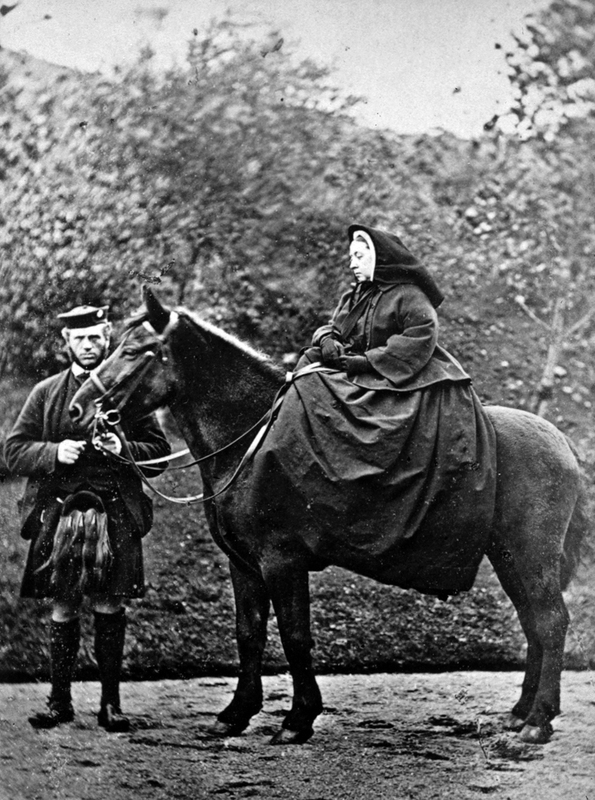 The "widow of Windsor" Queen Victoria who wore black all the rest of her days after the death of her husband, Prince Albert. Her she is with John Brown, made famous in our own day by the film, Mrs Brown, starring Judie Dench. Am I being hard on Queen Victoria? I think the influences of the Victorian era are certainly being analyzed culturally right now because the films Sherlock Holmes: A Game of Shadows is taking place in the Victorian Era as well as A Dangerous Method about Sigmund Freud so it's on the minds of film makers. Now a second possible interpretation in a completely different direction. When Arthur has recovered the body of little Nathaniel from the salt marsh, he lays it out in Nathaniel's old room there in Eel Marsh House, wrapped in a linen shroud with a rosary on top of his little body for his mother, Jennet to "reclaim" as her own son. Other than Samuel Dailey (Ciaran Hinds) making the sign of the cross over himself as they open Jennet's grave to bury Nathaniel with her, this is the only Catholic imagery, however, given the recent Anglican Ordinate, we could view the "Woman in Black" as the Mother Church of Rome taking the children of the Anglican Church back as her own (I am a convert to the Roman Catholic Church myself). The cemetery at Eel Marsh House, Jennet's grave that Samuel and Arthur are about to open to place Nathaniel's body to rest with his biological mother. After Arthur has opened the Jennet's coffin, Samuel blesses himself, making the Sign of the Cross, but he does it from his right shoulder to his left, which is how the Orthodox Church blesses themselves, not the Roman Church. It's possible that this was a mistake, but I doubt it, Watkins has done a great job with this film, so instead, I think that simple gesture could add another church which broke away from the Roman Catholic Church. Since the Woman in Black also claimed the life of Samuel's little son Nicholas (who would have been raised in the faith of his family, in this case, the Orthodox Church), that could serve as another example of the Roman Catholic Church trying to "take back" the children of other denominations that the Church sees as being its own . In November of 2009, Pope Benedict XVI issued the Anglicanorum Coetibus for Anglicans wishing to convert to the Roman Catholic Church. We can see an analogy being made to The Woman In Black if we look at history: the separation of England from the Roman Catholic Church being based on Rome as "an unfit spiritual mother" to England due to the refusal of the pope to grant the annulment to Henry VIII for his marriage to Catherine of Aragon and various charges of corruption ending in the establishment of the "sister church", the Church of England. We can also see the analogy of the Roman Church "hanging itself" as Jennet hangs herself in the film by the way the Church issued Bulls calling for the assassination of Elizabeth which (might have) split the two churches even more (okay, who are we kidding, it did split the two churches even more). Wow, another great shot. Arthur looks out the window as the "specter" looks over his shoulder. Because of all the "reflecting" and stair cases being climbed in the film (the entering into of a higher plane of thought), we could take this as the Anglican Church entering into its own stages of thought on the ordination of women bishops and the roles of homosexuals in the Anglican Church, and the Roman Church is "looking over its shoulder" wanting to influence it or get what it can. In this context, Arthur being a lawyer, the paperwork he goes through will not only pertain to historical documents, but the legal aspects (rather than theological) of the voting that will be taking place on women bishops and homosexuals. The phrase, "She will never let go," then, in terms of the Roman Catholic Church, can be understood to refer to both Pope Benedict reaching out to establish a communion with Anglicans leaving the Anglican Church and his statement in 2007 (I think that's when it was made) emphasizing the supremacy of Catholic Church over all other denominations, the "mother of all Christians," so to speak. As Arthur goes through papers in Eel Marsh House, he finds numerous pictures and letters between Alice and Jennet, condemning each other to hell and saying that God protects them (implying that he does not protect the other sister). This could be taken as the strained relationship in the past between the two Churches: sisters, but different and both equally certain that God is with them and not the other. 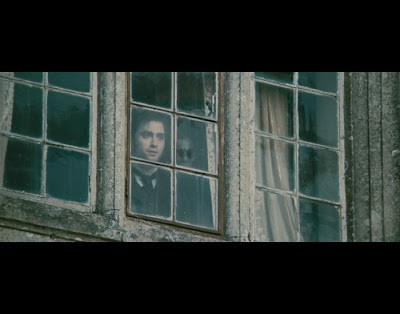 If you like eerie, if you like atmosphere, if you like the mystery, you will probably like The Woman In Black. I think they released this film in February so it will be ready on DVD for Halloween this year, and I know I will be watching it every year, it's that good and spooky. If Nathaniel is the "stolen child, " the flock (and property) taken by the new Church of England when it formed and separated from Rome, then the "return of the stolen child" could be those who have returned to Rome (remember, a rosary was laid upon the dead child's body). 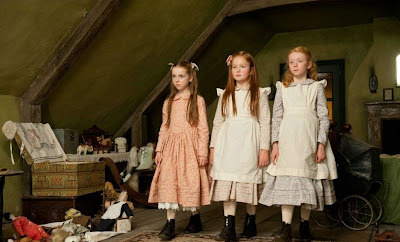 But in the film, there is also the town's children the Woman in Black takes: when children see the Woman in Black, the woman causes them to "hurt themselves" so they die, and the Woman in Black's thesis is, "They took my child, I will take their child." This could be the Anglican Church condemning the efforts of Rome to continue bringing more of its members into the Roman Communion and the violent deaths which the children suffer is obviously a notation on what the Anglican Church thinks will happen to those rejoining Rome (hell). The writing beneath the writing is what we are invited to look for. The last point to be made on this potential interpretation are the references to the 1944 Ray Milland ghost story/thriller The Uninvited which also bases its story upon the deception of mistaken birth mothers and can be interpreted as also being about the religious identity of England. 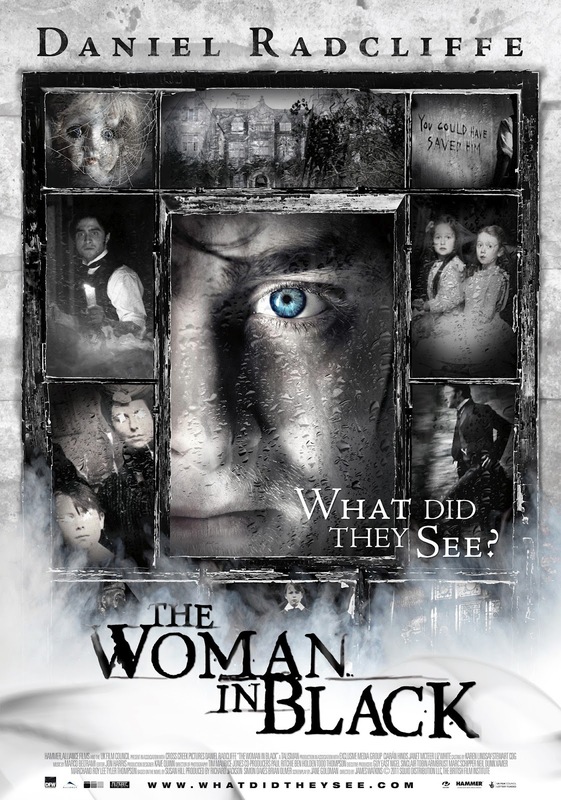 The ending credits of The Woman In Black particularly pay homage to The Uninvited because of the use of mist which The Uninvited employed particularly well; Arthur's dead wife is named Stella and the girl the two "mothers" fight over is named Stella in The Uninvited (and it was for this film that the song Stella By Starlight was written). (Okay, one more point: "Jennet" means Jennet, a small Spanish horse, and because Spain has always been Catholic, that re-enforces Jennet as a potential symbol for the Roman Church, and it is also another tie-in to The Uninvited which is a tug-of-war between an English woman and a Spanish woman). The salt marsh and the cross marking the place where little Nathaniel sunk with a carriage as the tide was coming in. In the background is Samuel with his car, the only one in the county. The previous two interpretations are just snippets the film offers us as possibilities for understanding. Two of the aspects which I would like to touch upon before closing (for now, after I have had a chance to view the film several more times, I am confident I will be building upon this post) is the way the law is used in the film and the role of the monkeys. Whenever a house dominates a story such as in this film, it becomes its own character. Usually, a house will be a symbolic of the soul, in this case, it can also symbolize and institution. Is there a dark, gloomy, decrepit institution in England that is killing people? After the 2010 UK student protests, it may be a symbol for the government itself because of the planned caps and cuts in it wanted to implement in education which, symbolically, could be portrayed by the children killing themselves in The Woman In Black (children have to have their education or they suffer, not only social death, but future financial death as well). 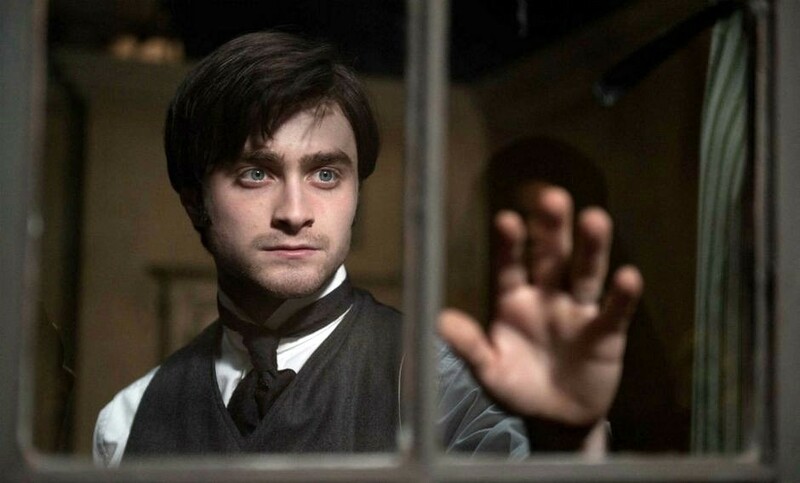 On the other hand, we can look at it as being a visualization of Arthur Kipps' mind: lots of staircases, locked rooms, dark corners, and closed windows not letting in any light. There are little things, like Arthur has the key, or Arthur doesn't have the key, but these are psychological symbols meant to enrich your engagement of the film by contributing your own thoughts and experience. Arthur hits upon the idea of reuniting Nathaniel and Jennet as a means of appeasing Jennet because it will be the fulfillment of a debt of justice. It's possible that Alice used the law to have Jennet declared mentally unfit when in fact she was perfectly capable of taking care of her son, . . . then again, its possible that Jennet was, in fact, "off her rocker," and, given the prevalent use of the rocking chair in the film (and that it was jumping "off her rocker" that Jennet hung herself) it's probable that Jennet was insane, i.e., "off her rocker." When the child has been laid to rest with its mother, we, too, feel that Jennet can rest at peace because justice has been fulfilled, right has triumphed,... but it hasn't, at least, not for Jennet. This is a re-writing of the ghost story genre, that justice isn't enough to appease the dead spirit (this is the kind of analysis you find in a show such as Ghost Hunters on TV). But then, this story is really about Arthur, not Jennet. Great stories will present the hero with a choice, and they have to chose the superior moral pathway in order to fulfill being a hero. Does Arthur do that? His choice is to either let go of his deceased wife Stella and embrace the child they have together, little Joseph, or, be like Jennet, and never let go of Stella and rob the future from him and his son (the town's children symbolize the future). In his encounters with Jennet, Arthur really encounters himself: he wants to see Stella so badly that he's "hanging onto her" and "going off his rocker" for her thereby hurting himself and Joseph just as Jennet hurt herself. 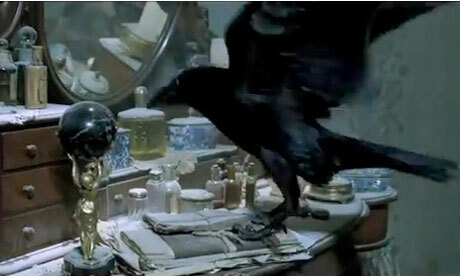 This actual scene is not in the film (if it were, it would be referencing Edgar Allan Poe's poem The Raven) but the bird is in the film. Arthur goes into one of the rooms and sees an empty nest; at the bottom of the empty nest, on the floor, is the baby bird that fell out of the nest. Arthur goes over, puts the baby back in the nest and then the large black raven pictured above swoops out of (I think) the chimney and practically attacks Arthur. This is a mini-image of the larger film: Jennet is the raven and just as Arthur returns her child to her, she--like the raven--will still attack Arthur regardless of what he has done for her and her child. I don't really think we should interpret the ending as Arthur and little Joseph die; rather, just as Stella gave her life for her son to live, so now, Arthur, too has given his life so that his son can live, and that joins and binds Arthur and Stella in this act of love in a way that they were not when they were alive. 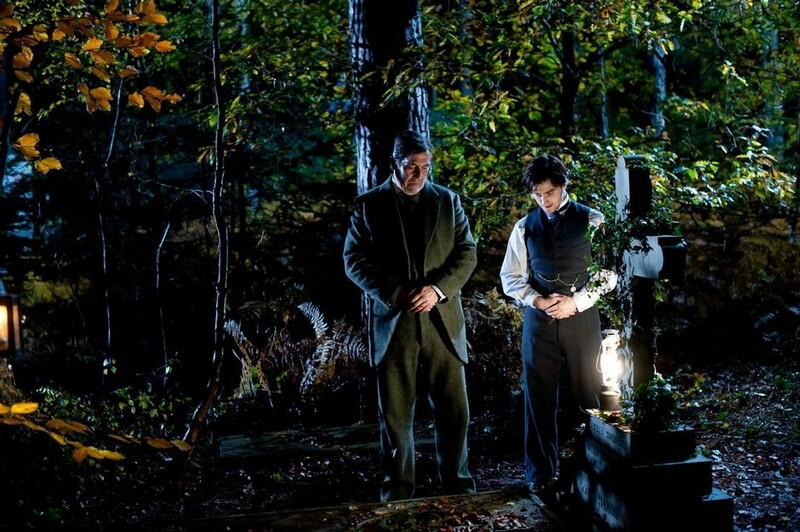 Therefore, we can see The Woman In Black as a positive statement about pro-life and parent's duties to their children, not a child's duty to its parents, but it's also a verification of Arthur as a hero, because he achieved conversion by letting go of Stella and, by so doing, gained her back. Arthur, by realizing how much he does truly love Joseph, also loves Stella in a new way, a deeper way, for her giving her life for little Joseph's life because, entering into it on the merits of his own sacrifice, he has entered into his own wisdom and understanding. Here's another example of "hanging on": Mrs. Dailey (Janet McTeer) is holding on to the memory of her dead son, but he is also holding onto her by his occasional possession of her which happens twice in the film. It's not just that Nicholas likes to "draw," but draw upon his mother's life as well because she's obviously not mentally stable as a result (like Jennet) of losing her child. In the trailer at the start of the post, there were the three wise monkeys revealed when Arthur opens the shutters upon his arrival inside the house. In The Artist from last year, George has a statue of the three wise monkeys he keeps among his possessions so this is a recurring theme in films as of late (please see BANG! The Artist & the New Agenda In Film). In 1882, the year that Nathaniel drowned in The Woman In Black, another person died in England: Charles Darwin, father of the Theory of Evolution (it is possible to also understand Alice as, instead of being married to "Charles Dickens," being married instead to "Charles Darwin," however, I preferred Dickens in the example above... just because). The prevalence of the monkeys in the film (the three wise monkeys and the monkey toys and it looked like there were "stuffed" monkeys under glass throughout the house) may symbolize two things: what Darwinism did for English society or to object to what we are not, i.e., monkeys. 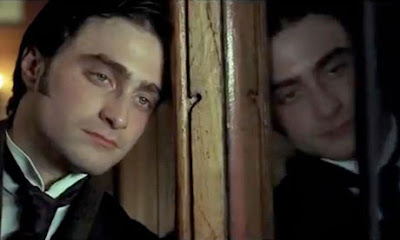 One reviewer remarked that if you enjoy looking at Daniel Radcliffe, you are bound to enjoy this film, because he's the only thing we see. The point is, we should be seeing ourselves in him. Horror films, really great ghost stories, will always be about us, and what the main character sees or does not want to see within themselves is applicable on the larger scale of society. Scenes such as this, with the "woman's" reflection where his hand is although he doesn't see her, is a great example of how cleverly and clearly Watkins' vision and understanding of this film is and communicates itself throughout the story and the shots. 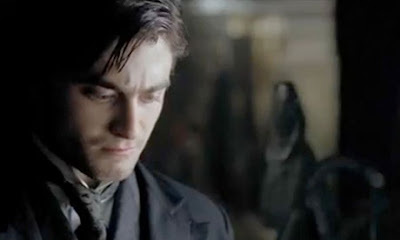 Because monkeys are so prevalent in the film, we could understand them as symbolizing Arthur's own spiritual struggle which was the "crisis of faith of 1859" when Darwin published Origin of the Species. Not knowing if there was a God or not, Arthur's desire to be re-united with his wife, but also to be a man of reason, could be at conflict. However, while I think that is possible, I think it goes deeper than that, literally, because if The Woman In Black were upholding Darwinism, then where in evolution do ghosts come from? Darwinism teaches only a material world, and ghosts are, by definition, the immaterial. So, because Jennet and the children are all ghosts, the film must be positing that an immaterial world order is at least possible. Please click on the image to view enlarged details. Because the poster frames events in the film, it invites us to frame events in the film; because the poster highlights Arthur's eye, it invites us to really see what is going on, like Arthur ripping away the wall paper in Nathaniel's room, we are to rip away at the surface of the film to try and find the layers of meaning and messages written beneath. When I see the three wise monkeys, specifically, though, it is a call to action and to be moral. If we were monkeys, we would not be morally or legally accountable for anything; but because we do have a sense of morality, we have to do something about our morality, and this is where the town's people might enter in. If Jennet were reasonably sane enough to raise Nicholas on her own, and they still stood by and failed to "say anything," "hear her pleas", or "see the injustice" being done, then they are all guilty of taking an innocent woman's child away from her and that could be the role of the monkeys as moral commentary on the town's people. This is a great image because it shows a troubled man, in the "fog" of life's worries and indecisions, burdened with his "baggage" of what has happened to him, on a path that is besought by danger and the weeds of fear. As the tides swell over the road of Eel Marsh House and seals it off from the rest of the world, so, too, when life's troubles well up against us, we are sealed off and left with only our soul and whatever lurks within us; either we try, like Arthur, to fulfill justice and do the right thing or, like Jennet, we refuse to forgive and refuse to let go, slowly decaying as we hang ourselves by hanging on and we neither find rest for our self nor give it to anyone else. These are just a few of the angles I picked up on; there are countless others, and all valid and possible, but I hope that--if you have seen the film--you will think about some of these symbols and issues presented to us; if you haven't seen the film, I hope you will consider doing so (but don't take the kids! ).